Tacoma North Rotarians help plant 70 trees October 14 around Reed Elementary school in observance of Earth Day. 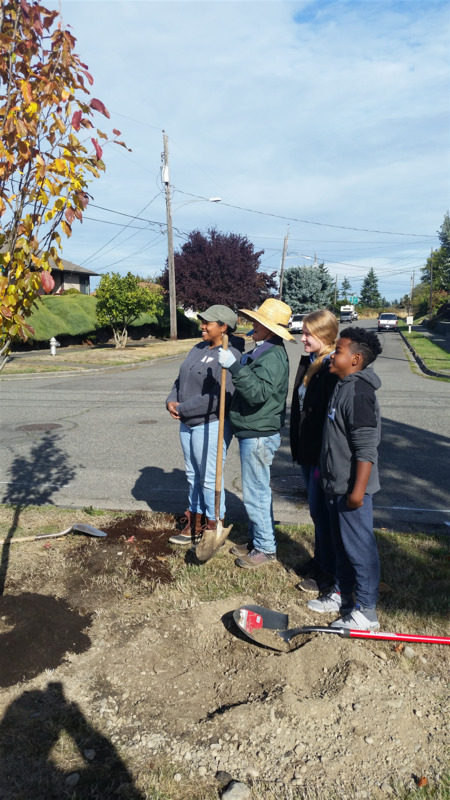 Tacoma School District, the City of Tacoma and local community groups teamed up to accomplish a community building project that will better improve the air quality and aesthetic in the Jennie Reed neighborhood. 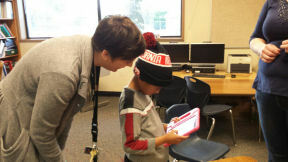 Visit https://tacomaweekly.com/front-page/students-plant-trees-for-better-air-quality-at-jennie-reed-elementary/ for more details. 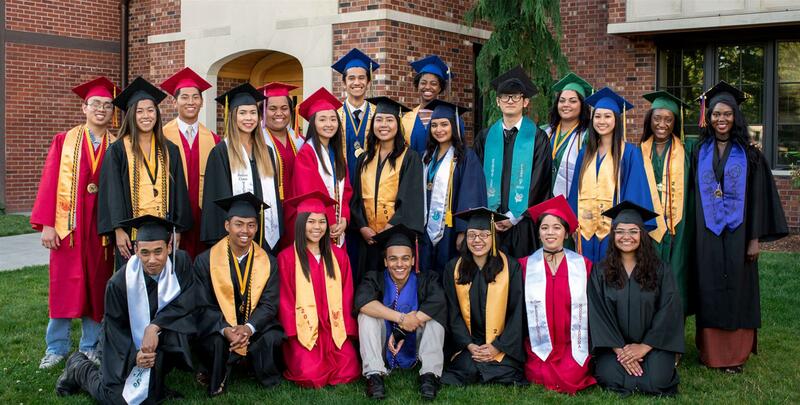 The Palmer Scholars mission, like Tacoma North Rotary, focuses on helping youth in the greater Tacoma area. In addition to financial assistance, TNR Rotarians help Palmer Scholars staff review scholarship applications and provide mentors to successful students. Tacoma North Rotarians presented a check for $2,500 to Food Connection for their backpack program that provides take-home food for the weekend so kids can have enough to eat when not in school. None of us has an identity except as part of our families, our friends, our society,our faith, our world. Connection with others validates our lives.